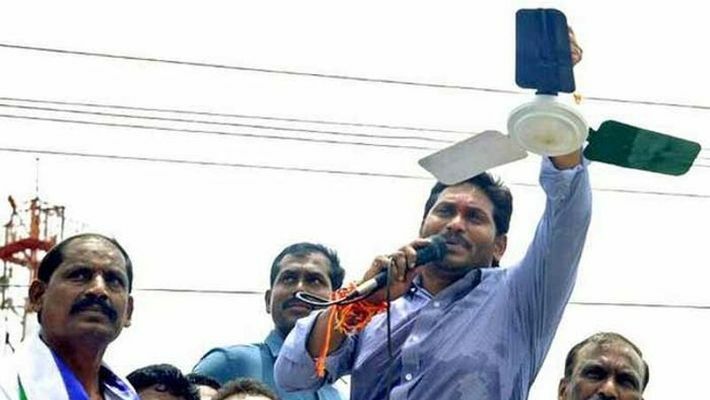 Kadapa: Jaganmohan Reddy-led YSR Congress Party (YSRCP) released the final list of its candidates for 25 parliamentary constituency seats and 175 assembly seats. Nandigam Suresh, who is contesting from Bapatla constituency, read out the list of candidates in the presence of YSRCP chief YS Jaganmohan Reddy. Duvvada Srinivas (Srikakulam), Bellani Chandrasekhr (Vizianagaram), Satyanarayana (Visakhapatnam), kandregula Satyavathi ( Anakapalli), Chinta Anuradha (Amlapuram), Vanga Geetha (Kakinada), Mangana Bharath (Rajahmundry), Raghuarm krishnam Raju (Narsapuram), Kotagiri Sridhar (Eluru), P Vara Prasad (Vijayawada), Bala Souri (Machilipatnam), Venugopal Reddy (Guntur), Devarayulu (Narasaropeta), Nandigam Suresh (Bapatla), Srinivas Reddy (Ongole), Prabhakar Reddy (Nellore), Brahmananda (Nandyal), Sanjeev Kumar (Kurnool), Tallari Rangaiah (Anantpur), Gorantla Madhav (Hindpur), Durgaprasad (Tirupati), Reddappa(Chittor), Midhun Reddy (Rajampeta), Avinash reddy (Kadapa) and Madhavi (Araku). Jaganmohan Reddy and his party leaders offered prayers at YSR Ghat at Idupulapaya in Kadapa district before announcing the list. On March 16, YSRCP had released its first list of candidates for nine constituencies in Andhra Pradesh for the upcoming elections. In June 2018, YS Avinash Reddy and PV Midhun Reddy, who quit as MPs while protesting the denial of Special Category Status to Andhra Pradesh, were re-nominated from Kadapa and Rajampet. Meanwhile, G Srinivas, whom Jana Sena Party (JSP) had announced as its MP candidate for Visakhapatnam, on Saturday joined the YSRCP. Will BJP field former Karnataka chief secretary Rathna Prabha for Lok Sabha polls?